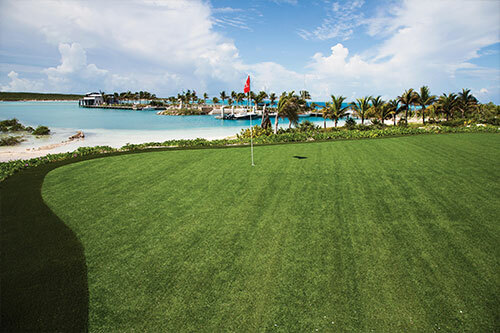 Tour Greens developed this backyard by the ocean with a short game green complete with a sand bunker and chipping mat, but brought even more fun home with VersaCourt basketball and shuffleboard courts. 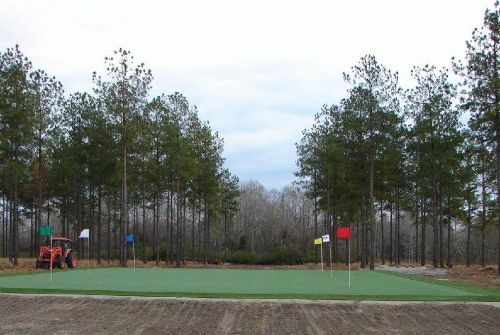 PGA professional Blake Adams worked with Tour Greens to design and develop a backyard practice facility that would allow him to practice his distance control without having to leave home. 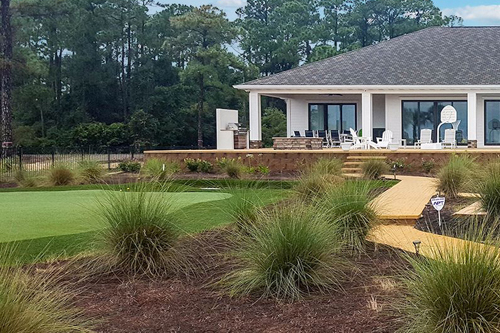 Not only has this helped him improve his golf game, but he now has more time to spend with his family during his off-weeks.